Walking into The Precious Gem on DoG Street, one feels like they’re entering a museum collection of precious stones. While the infamous “Hope Diamond” is not on display, some of Reggie Akdogan’s pieces do indeed feature gems the size of quarters. Originally from Turkey, Akdogan became acquainted with jewelry making when he was seven years old. After receiving a medical degree in Turkey, he came to the U.S., where his uncle gave him an extensive education in the art of jewelry making. “By growing up and working summers in [The Grand Bazaar], he learned how to make jewelry and how to sell to clients from around the world,” said Akdogan’s wife, Lisa Akdogan. Mrs. Akdogan manages the sales and marketing for the store’s two locations, giving her husband the space to create his one-of-a-kind pieces. Up the stairs from the pristine sales floor, Mr. Akdogan’s workshop is a very different scene. Priceless gems are paired with small pencil sketches of the elaborate necklaces, rings or bracelets they are destined to become. A paper bag of fast sketches, stashed underneath a workbench, holds dozens of rough drawings on napkins and scraps of paper. On his workbench, gold pansies mix with peacocks which are waiting to be set with dozens of brilliant gems. The gems also inspire Reggie, who travels to Thailand, Africa and South America to find stones that are both high quality and large. 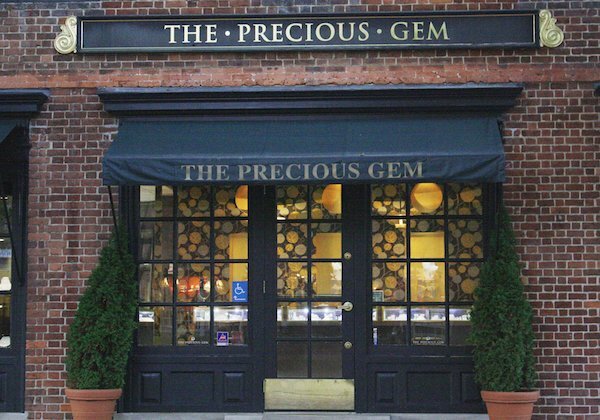 The Precious Gem has a customer base extending far beyond Williamsburg. Clients come from all over the country for Akdogan’s quality products and expertise. 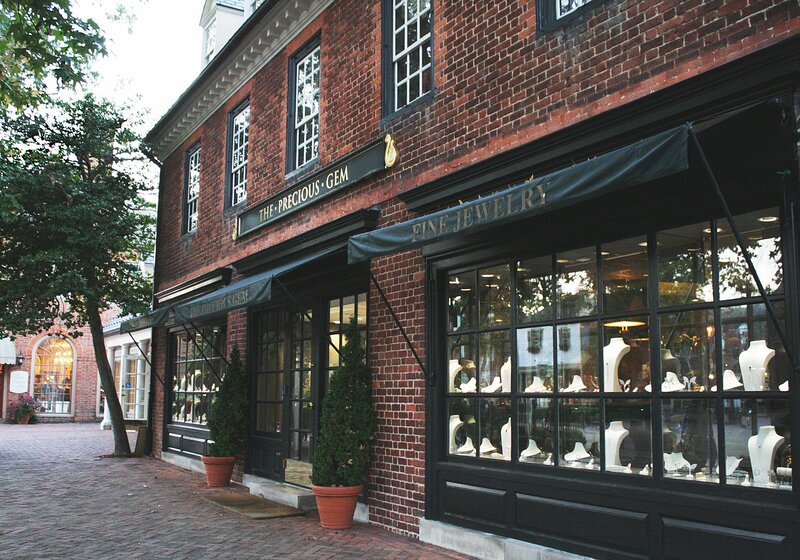 Mrs. Akdogan says that students come to The Precious Gem most often for graduation gifts and engagement rings. In addition to selling engagement rings, The Precious Gem helped one student with his proposal. “Several years ago, we had one guy from the [Mason School of Business] ask us for ideas about how to propose to his girlfriend,” Mrs. Akdogan said. ”We told him to take her to The Trellis for dinner. We close at six, but we usually keep our windows all lit up at night. At that time, we had flashing videos showing our jewelry, so people would walk by and watch the videos. We told him to write the proposal sign, and we put it right in front of the video, so when they were walking on the way to The Trellis, they could look in the window at the video and she would see the proposal sign. That was one of our most fun experiences. Mr. Akdogan enjoys going the extra mile for the younger students, who he hopes will become lifetime customers. He says that students will come in to have watches repaired, and despite the fact that he doesn’t typically do those services he likes to connect with the students and do these favors in hopes they will come back when they’re older. Mr. Akdogan’s success has afforded him the ability to give back to the College, as well as secondary schools in the area. He enjoys giving elementary school students tours of his workshop on the second floor, saying that they love to see the process of casting gold. He is also planning on working with the Mason School of Business to expand his business online. Associate Variety Editor Emily Stone '16 is from Fairfax, VA and has not declared her major.